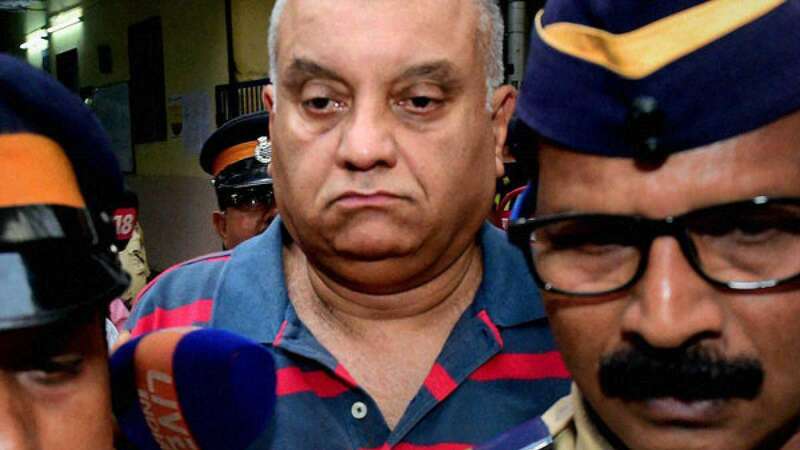 Mumbai : Rahul Mukerjea, son of former media baron and murder-accused Peter Mukerjea, came to his father's defence on Saturday and shifted the blame of Sheena Bora's murder on his step-mother Indrani Mukerjea. A witness in the CBI case, Rahul was in a live-in relationship with Sheena and wanted to marry her, but their parents Peter and Indrani respectively were opposed as they were step-brother and step-sister. Posting an open letter on Twitter as the CBI prepares for the trial to commence, Rahul said: "Peter was clearly not involved, nor was he aware of any crime allegedly perpetrated by Indrani, despite claims to the contrary." "These important circumstances, which to date have not been pointed out, very clearly show that Peter was not 'in the know' nor was he involved in the crime. Hence, charges against Peter ought to be dropped." Claiming that the version pointing to Peter's involvement was 'absolutely incorrect' and has very unfairly been publicized as the only narrative without a fair and balanced counter, Rahul said it was Indrani "who introduced Sheena and Mikhail as her siblings to everyone, including Peter", and she obviously didn't want it to be revealed that they were actually her children. However, Peter didn't know the truth of Sheena and Indrani's relationship and when Sheena and Rahul tried to tell him, he asked Indrani and she strongly refuted it saying they were in fact her siblings and not her children, the Tweet added. Indrani had instructed Sheena and Mikhail to maintain the lie, or she wouldn't help them in any manner, and she would have been extremely angry with Sheena for disobeying her most important instruction and undermining her, said Rahul. Not aware of Sheena and Indrani's true relationship, if Peter asked her whether there was any truth in these apparent revelations, she only denied it and claimed they were 'sisters'. "Evidently, there was no financial motive. Whatever Indrani may have done was for her own personal reasons. Peter was clearly not involved," Rahul said. He added: "Peter was never allowed by Indrani to visit Guwahati (Assam) to meet her parents, obviously as that would have led to him becoming aware of the truth about Indrani's past and her kids. Something which she was seemingly trying to hide." "Indrani has been cunning and manipulative and with tragic results, very convincing. She was able to make Peter believe her lies so that she could maintain her deception, and carry on doing what she really intended. He certainly did NOT know what lndrani was upto before, during, or after, with regard to any crime," Rahul said. He said that Indrani had given Peter the story that Sheena had contacted her with a view to "leaving our relationship" and wanted money and help to do that, which was not true. However, trusting Indrani, Peter believed it and she backed it up by sending SMSs from Sheena's phone to Peter stating the same, which was why he was certain that she must be fine. Rahul urged that the emails and recordings MUST be seen in the correct context as he (Peter) believed what Indrani told him, it was NOT a case of misleading because of complicity in any crime, but a situation where he really believed that Sheena was ok because his wife was assuring him of such. Moreover, any and all who inquired about Sheena were peddled the same story by Indrani and were equally convinced, it was not just Peter who believed her. Rahul reiterated that Peter was clearly not involved, nor was he aware of any crime allegedly perpetrated by Indrani, despite claims to the contrary. These important circumstances, which to date have not been pointed out, very clearly show that Peter was NOT 'in the know' nor was he involved in the crime, and hence, charges against Peter ought to be dropped, he urged. He concluded that "the truth stands for itself..it may not be as sensational as the hype, but it is the truth."